Developmental Evaluation (DE) is an evaluation approach that can assist social innovators develop social change initiatives in complex or uncertain environments. DE originators liken their approach to the role of research & development in the private sector product development process because it facilitates real-time, or close to real-time, feedback to program staff thus facilitating a continuous development loop. Michael Quinn Patton is careful to describe this approach as one choice that is responsive to context. This approach is not intended as the solution to every situation. In these situations, DE can help by: framing concepts, test quick iterations, tracking developments, surfacing issues. "Developmental Evaluation supports innovation development to guide adaptation to emergent and dynamic realities in complex environments. Innovations can take the form of new projects, programs, products, organizational changes, policy reforms, and system interventions. A complex system is characterized by a large number of interacting and interdependent elements in which there is no central control. Patterns of change emerge from rapid, real time interactions that generate learning, evolution, and development – if one is paying attention and knows how to observe and capture the important and emergent patterns. Complex environments for social interventions and innovations are those in which what to do to solve problems is uncertain and key stakeholders are in conflict about how to proceed." The Developmental Evaluation Institute - this website aims to provide pathways for new, emerging, and mid-career evaluators to develop skills in Developmental Evaluation for social justice. Patton, M. Q. (2010) Developmental Evaluation. Applying Complexity Concepts to Enhance Innovation and Use. Guilford Press, New York. Retrieved via http://tei.gwu.edu/courses_approaches.htm#developmental_evaluation. Quick question: are there agreed-upon translations for "Developmental Evaluation" by now in Spanish and Portuguese? "Because of the difficulty of translating 'developmental', I suggest that the approach be referred to as adaptive evaluation. 'Adaptive' is easier to translate than developmental, a fact I wish I had known when I labelled the DE approach." 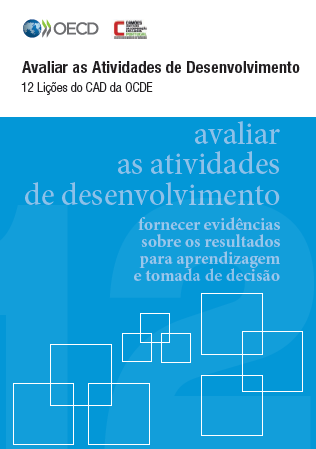 Using Google Translate, "Adaptive evaluation" translates to "evaluación adaptativa" and "avaliação adaptive", in Spanish and Portuguese respectively.